Available In All Colors & Styles! Do you want to uplift the look of your dull and boring kitchen or bathroom? Are you looking for a full-service countertop installation company in the GTA region? If yes, Granite Nations is right here to assist you. 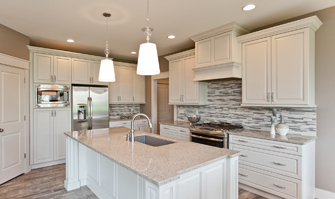 We are your local granite countertop installers having 8 years of experience in designing, building and installing quartz, Silestone, HanStone and Caesarstone kitchen cabinets. Just tell us the material and design you want, and we’ll custom make it for you. Over the years, we have managed to earn an industry reputation by providing highly durable cabinets and countertops in Ajax, Courtice, Pickering, Scarborough, Toronto, Whitby & GTA. 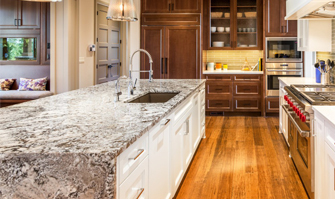 We specialize in designing granite, Caesarstone, HanStone, and Silestone countertops and custom cabinets. Whether your project is limited to the kitchen or bathroom, our work is professional and guaranteed. Best of all, there is no middle-man involved and you deal directly with us. We specialize in custom kitchen countertop installation in various styles and material right from the granite to quartz. 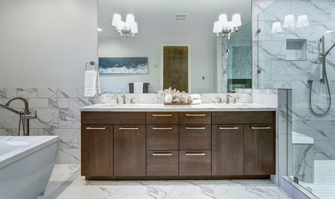 From hanstone countertops to custom cabinets, we can beautify your bathroom with quality cabinet installation. Whether you want to opt for granite or custom backsplash design and installation service, we provide them all. 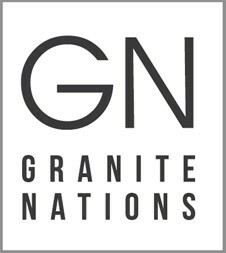 At Granite Nations, we are your locally owned vanity countertop service providers in the Ajax, Courtice, Pickering, Scarborough, Toronto, Whitby & GTA. To fulfill your desire of owning a modern kitchen or bathroom, we carry an incredible selection of quartz countertops, backsplash, and cabinets to help you meet both your design and budgetary requirements. Your team is courteous and professional. Loved the quality of service you delivered. I had a very good experience with your company. I am extremely happy with the bathroom cabinets you guys installed. They are really pretty. Thank you for the efficient service. Will surely call you for the next project. Thank you so much Granite Nations for enhancing the look of my kitchen. It looks amazing now and my family is really happy with the outcome. I will highly recommend you to my friends and neighbors. Have A Project In Mind? Share Your Project Details Today.